One girl, eleven wolves – and a whole host of heart-warming stories. “ Toni Shelbourne has written a brief book. 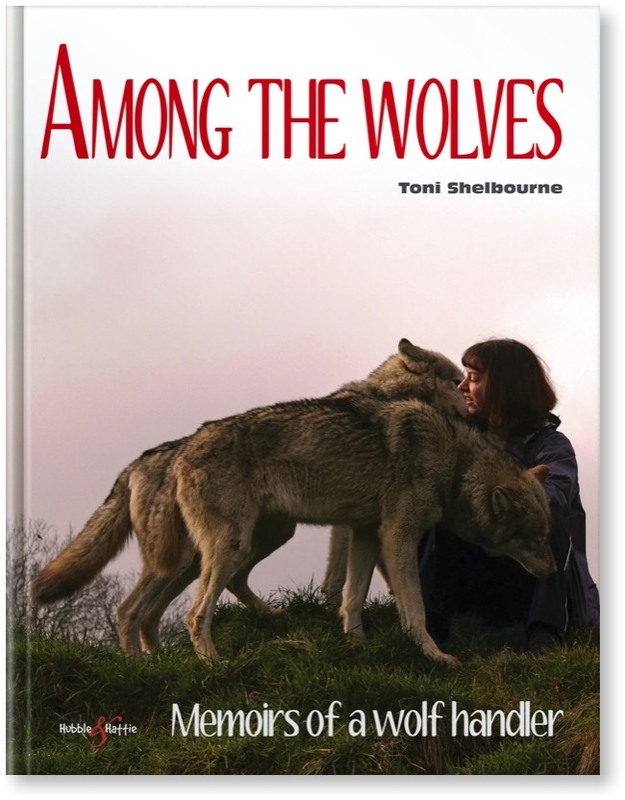 It’s not particularly short – there are, after all, approaching 150 pages – but it is brief in the context of her experience with wolves and related canids. Thirty years ago Wolf literature was as obscure, inaccessible and fragmented as the animals themselves. Nowadays, the internet delivers to our desktop in seconds. However, separating wheat from the chaff or the Wolf from the ‘woffle’ is a different matter. Here, between the dust jacket, lies a mixture of Wolf Folklore to Facts, Communication to Conservation, Behaviour to Biology and Physiology to Pharmacology. The characters ‘showcased’ in this book are the wolves themselves (11 in all). It’s told in tales and describes events which few people have been privileged to witness. But, there is more. So far this fleeting glimpse of a description, may have cast a shadow over a message which might easily slip away by unnoticed. The importance of the book lies beneath the long guard hairs and fleecy lining. It is a deep and intelligent understanding that animals play such an important part in our ecology. It’s a powerful plea that we reassess our own impact on nature. It begs us to revaluate the status of animals and respectfully suggests ways forward for improvement. Life sometimes offers very special opportunities and experiences – some too magical not to share. That’s what this book is: a wealth of stories about an incredible decade in Toni Shelbourne’s life. Worldwide, only a handful of people get to spend time with socialised wolves; not the wolves seen in zoos, nervously pacing or hiding in their enclosures, but wolves raised by humans. These wolves trust people, allow us to interact with them, and accept us into their world. 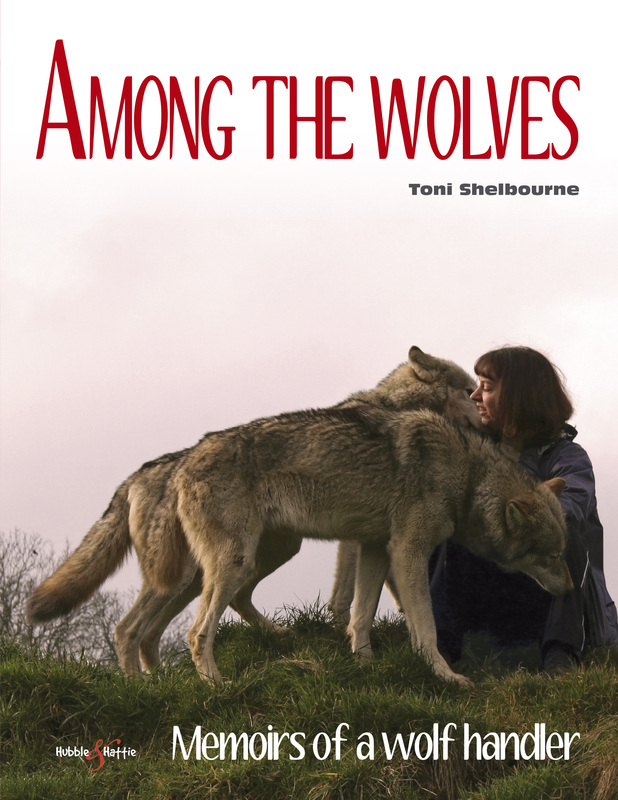 This book tells the story of Toni’s life with eleven charismatic wolves at the UK Wolf Conservation Trust, Berkshire, England. Over ten years, she handled, raised, cared for and nursed these amazing creatures, and within these pages you will come to know the characters; laugh at their sense of fun, mourn at their passing – and learn to love them as she does.